Just a ‘formal’ notification that I’ve moved my main blog to thezerocar.wordpress.com. This has been a fairly cack-handed process over the last six months, so figured it was finally time to put some kind of notice up. I’ll keep this blog up and running, largely because I don’t want any links people might have elsewhere to unexpectedly go dead (and also because I’m too mean/incompetent to get everything ported over properly). I’ll continue to reblog everything that gets posted on The Zero Car onto here, as I have been doing for the last few months. However, for a slightly more aesthetically pleasing reading experience (I hope), you may want to check out the new blog ands/or follow it on Twitter – @thezerocar. Thanks as always for reading, and best wishes for the upcoming year! Latest post from the ‘new’ blog – with best wishes for the festive period! Human geography at high school encompassed a fairly limited syllabus. You did three things – population demographics, development, and urban regeneration – and that was about it. Urban regeneration nearly always entailed a case study of looking at somewhere in the world where there had been industrial decline, and where someone had subsequently come in to make everything nice and shiny and pleasant again. 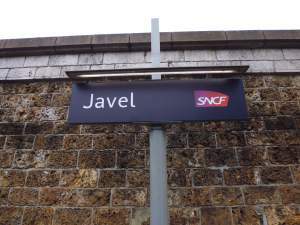 In our school we looked at the Barbican in London, Trafford in Manchester, Gorgie in Edinburgh – but never Javel in Paris. A small baseball-capped boy of around seven or eight years is rifling through baskets of second-hand toy cars on the floor. His mother follows him, always three steps behind, listens carefully to his ramblings. Occasionally a cardboard box or film-wrapped plastic packet gets added to the small pile of boxes in the mother’s arms. I want to go up to the mother, apologise and tell her that unfortunately he’ll never grow out of it. But seeing as both I and a fifty-something gent next to me are going through exactly the same sorting and deliberating process as her son, I think she’s probably figured that out for herself. 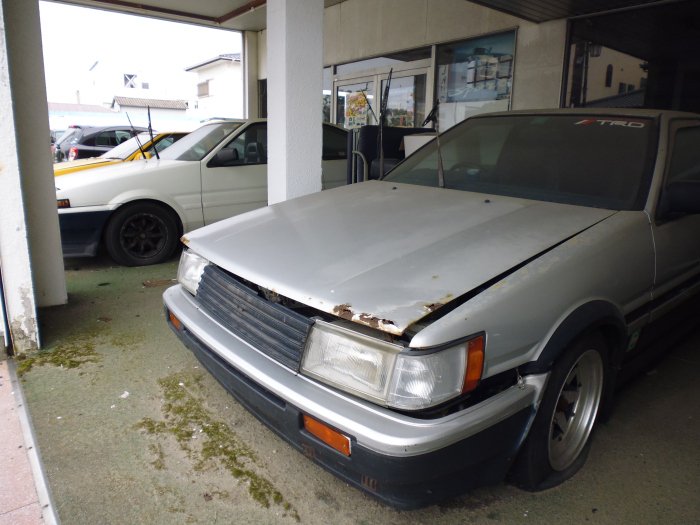 Reading that Garage Sakamoto is located in Fukushima Prefecture in Japan and loking at the pictures that follow, one may – if left to one’s own devices – come to the conclusion that I’d been poking around in a place that had been evacuated and the cars left behind to rot. 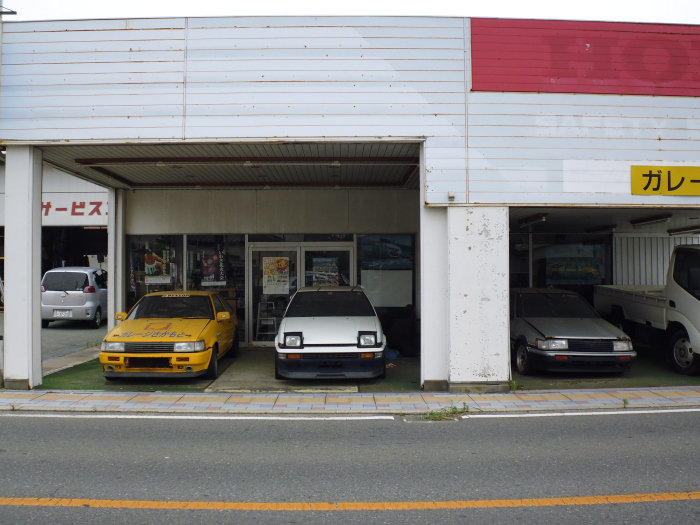 The truth, however, is rather different – these old vehicles are for spares and repair, and the garage is owned by a Toyota-racing specialist who has actually been selected as one of twelve business leaders for the rejuvenation of his city post-disaster. These old Levins and Sprinter Truenos were parked up in Onahama, Iwaki. The yellow one on the left used to be raced by the garage owner. This place turned out to be a real gem, so when I’m back in Scotland I’ll make a mini-feature out of it. Chikara Yokoyama had a problem. 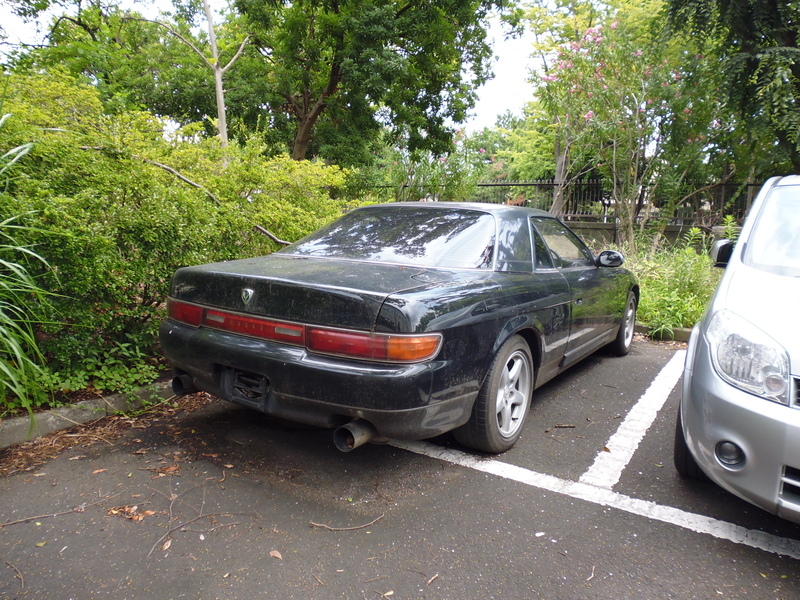 The year was not long past 2010, and he was itching to get out and drive the latest addition to his Japanese car collection – a brand-new Nissan GT-R. Trouble was, he lived in Azabu-Juban. You can go and Google it if you want, but suffice to say that contrary to what Hollywood movies and PlayStation games might lead you to believe, inner-city Tokyo is not a hotbed of drifting and burnouts and street racing. It is a confusing, congested and slow network of narrow roads, a place where the fastest mode of conveyance is often the bicycle. Not a place for dabbling with the potential of a supercar by any stretch. Fantastic experience on my most recent trip to Japan – a morning with a Nissan Skyline GT-R! Is this really a good idea? Because right now, I feel horrible. The attendant in front is looking left and right, his arm outstretched in a signal to wait until the road is clear for me to pull out of the junction. My left leg is wobbling as I keep the clutch depressed, the sheer loudness of the engine bringing on palpitations in my eardrums. The thought of what this car might do to me is petrifying, and all I have done so far is turn the ignition key, engage first gear and drive five metres at three miles per hour. I am about to take a drive in a car I’ve wanted since my early teens, but instead I’m calming myself with thoughts of the gentle dip in a hot spring and the cup of honey milk latte that lie ahead once this is out the way.